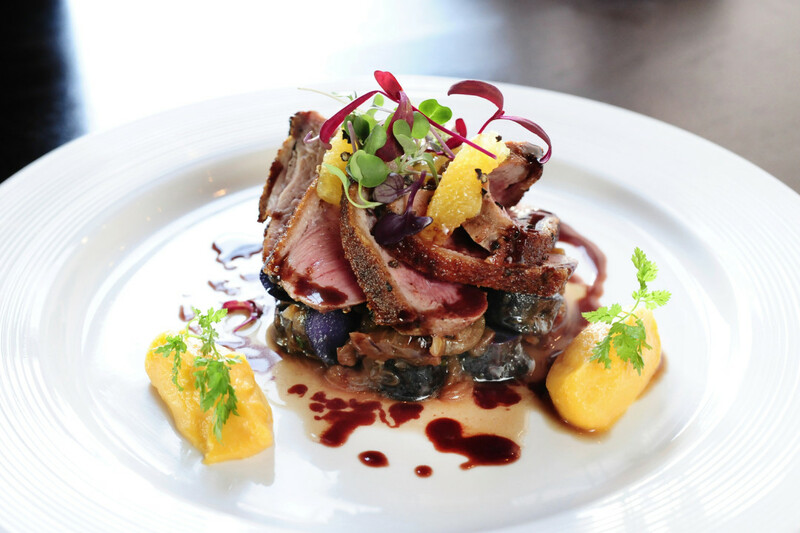 "Magret de Canard," chef Phillipe Verpiand's signature duck breast with wild mushrooms and huckleberry gastrique, is one of the featured courses on the special prix fixe dinner menu available today through November 9 at Étoile Cuisine et Bar. 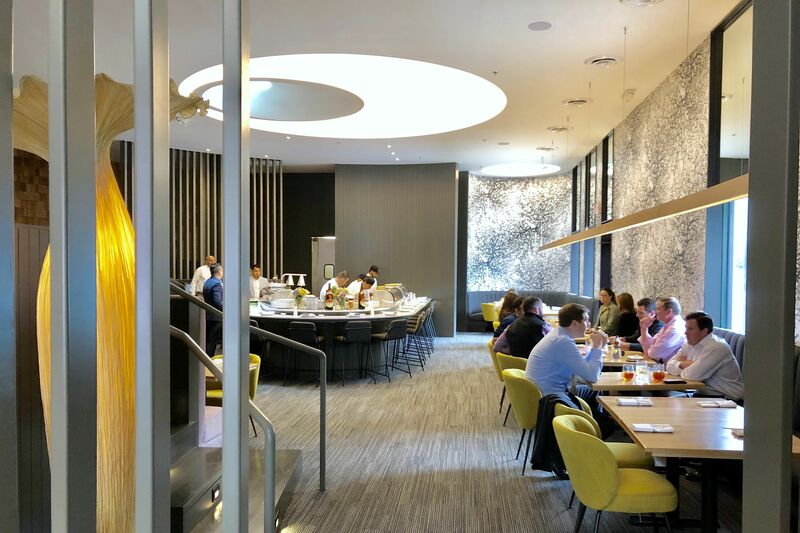 The “Premier Diner D’Anniversaire” dinner celebrates the restaurant's first anniversary. Étoile's opening was sort of a stealth attack on the Houston fine dining scene. We barely noticed the restaurant's arrival. Then Phillipe Verpiand quietly presented his simple but exquisite style of modern French cooking. We threw up our hands and surrendered without resistance. Hard to believe the star of Uptown Park French has been here a year already. Here's Houstonia's review of Étoile from our May issue. The four-course anniversary meal is a bargain at $68 a person. The menu starts with a complimentary glass of Étoile Rosé with a first course of "Foie Gras Poêlé," seared duck liver, apple, and red bell pepper chutney; or "Tartare de Thon," tuna tartare, grapefruit, compressed cucumber, and fresh herbs. "Loup de Mer Chilien," Chilean sea bass, short ribs ravioli and leek fondue in a cabernet reduction is the second course, followed by the duck breast for the third course. To cap off the anniversary menu, Verpiand is offering your choice of a hazelnut praline with milk chocolate mousse or his "Tarte Fine Aux Pommes," apple tart and vanilla ice cream topped with sea salt caramel. 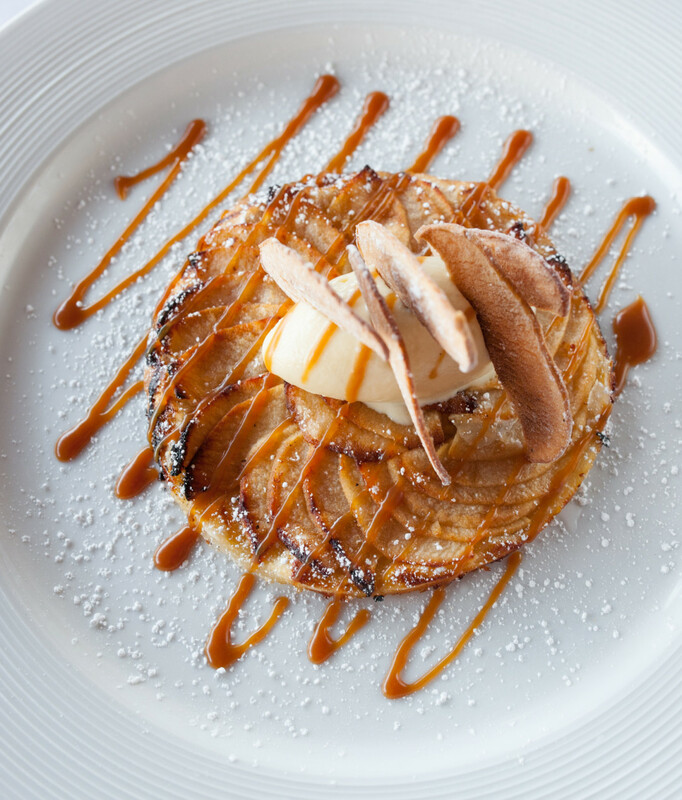 Go with the apple tart.